Caption slip reads: "Photographer: Jensen. 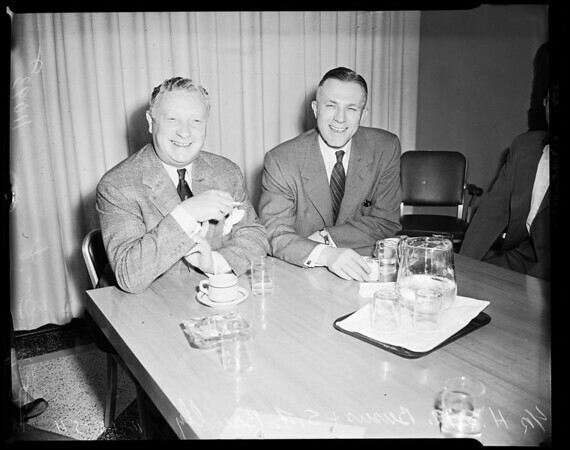 Assignment: Interview President Shell Oil Co. l. to r., 70-71: H.S.M. Burns. 74-75: Shell Oil Co. Pres. 7-8: S.F. Bowlby Vice Pres. and Sr. West Coast officer, Shell Oil Co".